One of the most sensational center console fishing machines ever built! This 28 foot center console Triton is powered by twin 300 HPDI Mercury outboards. It has a top speed of over 60mph with a full load of fuel and water! Even in a nasty chop (very rare in the western Long Island Sound) the ride is incredibly smooth and dry. 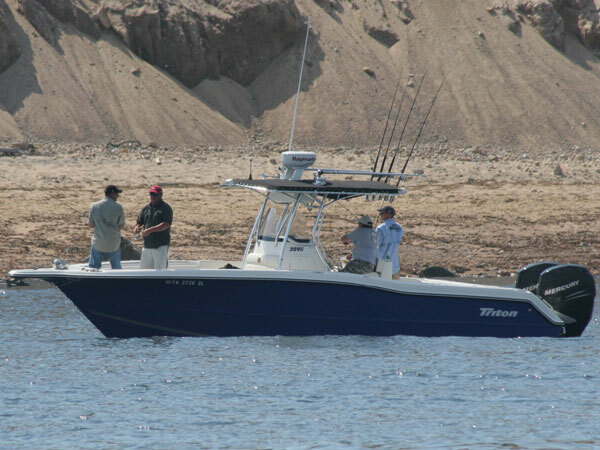 The boat is fully equipped with Radar, GPS, Sonar and VHF units. It has two separate live wells and fish boxes. Plenty of storage on both the front seats and the console. More than enough fishing room for up to 4 anglers comfortably. All bait and tackle is included on every trip. All you need to bring is a camera and anything you may want to eat or drink!